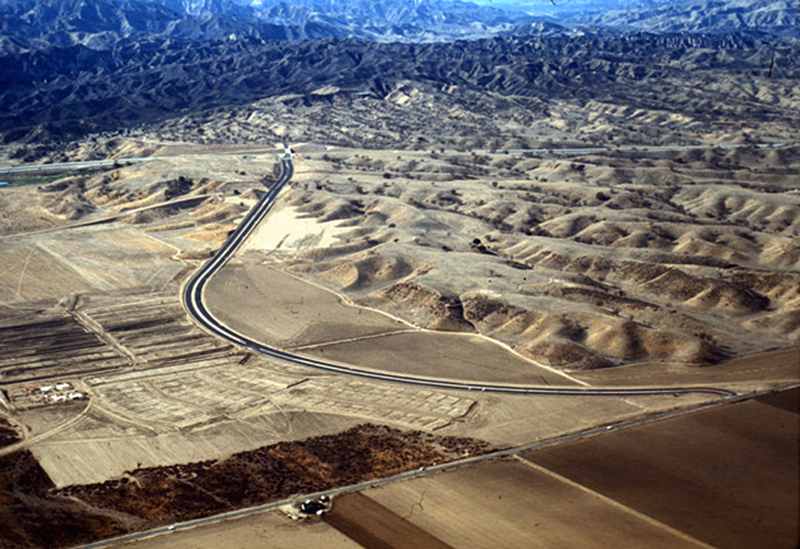 Newly constructed McBean Parkway, probably 1968 or early 1969. At center is the 25-acre graded pad donated by The Newhall Land and Farming Co. for the future Henry Mayo Newhall Memorial Hospital. At top (west) is the recently completed Interstate 5, which replaced old Highway 99 (aka The Old Road). To the left (south) at the tip of the bow-out is the future Orchard Village Road. At bottom is Newhall Avenue, which used to go through. 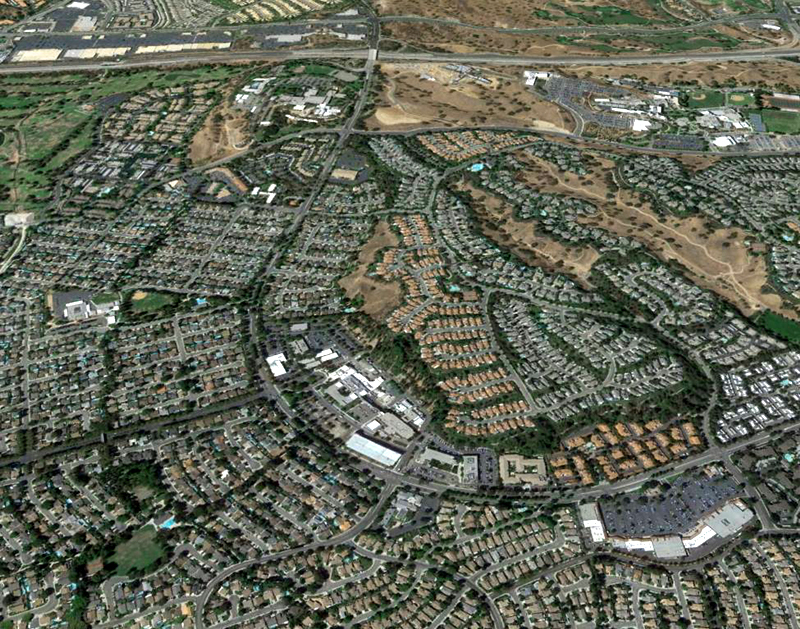 Out of frame to the right (east) of Newhall Avenue was the Newhall (aka Saugus) airport. The latest possible date for this image is May 3, 1969, when California Institute of the Arts broke ground. There's no sign of it. Same general area in 2013.